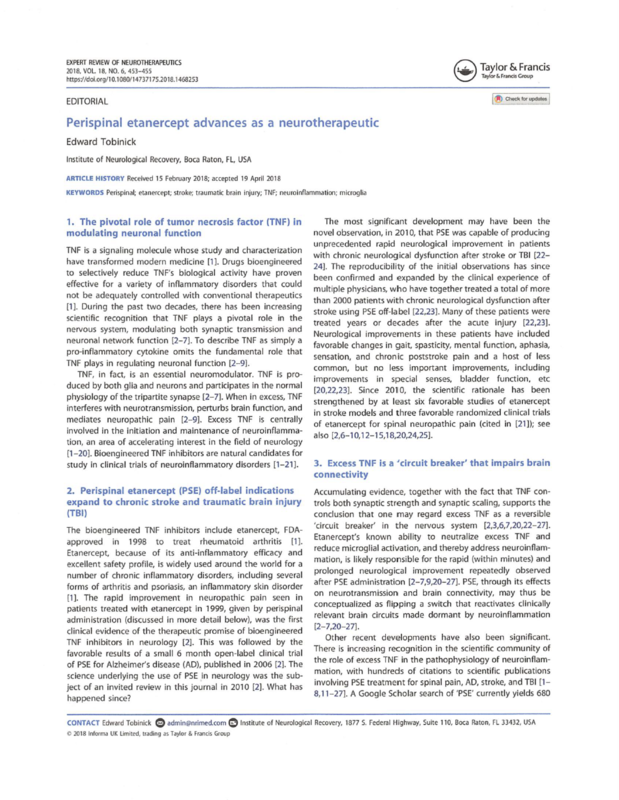 Invited editorial by Edward Tobinick, MD, entitled, “Perispinal etanercept advances as a neurotherapeutic” published in Expert Review of Neurotherapeutics, on April 25, 2018. Treatment at the Institute of Neurological Recovery in Boca Raton, Florida, March 6, 2018, twenty two months after stroke. Immediate improvements in aphasia, apraxia of speech, walking, etc.